One of the attractive things about booking a self-catering cottage in a lovely UK location is the fact that you can often take your pets. The British countryside is ideal for dog walkers, so naturally holidaymakers are keen to find dog friendly cottages that allow them to make a little more of their short break or holiday. Our listings feature a host of luxury pet friendly cottages in Devon, Cornwall, The Lake District and other areas of the UK that are comfortable, convenient and completely suitable for animals. We aim to deliver a selection of dog friendly holiday cottages in order to make dog walking holidays in every corner of Britain a possibility for all. Welcome to our selection of UK Pet Friendly cottages. A LEA HILL AFFORDABLE COTTAGE Pretty bijou cottage in tranquil countryside. Dog friendly - up to four dogs. Private garden. Twenty minutes from the "Jurassic" World Heritage Coast. £170 - £340 / week. For those who love the New Forest, this cottage is in an ideal situation for peaceful walks, beautiful scenery and lots of opportunities to see wildlife. Sleeps two people. £300 - £400 / week. Cosy one bedroom apartment in stunning unspoiled location with lovely views, sleeps 2. £230 - £460 / week. Cosy one bedroom ground-floor apartment in stunning unspoiled location with lovely views, sleeps 2. £235 - £490 / week. £335 - £510 / week. £375 - £565 / week. Luxuriously comfortable idyllic small Lake District cottage in peaceful location tucked away along a quiet country lane, sleeps 2. £395 - £695 / week. 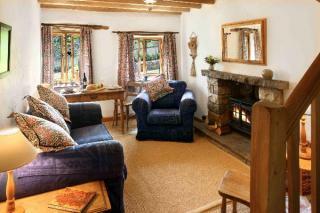 Romantic Lake District cottage for couples. £500 - £700 / week. £275 - £350 / week. 1 bedroom | 1 bathroom | Sleeps 3 people. Newly converted former fruit store situated in a very quiet location with lovely views across open fields, sleeps 3. £200 - £395 / week. £340 - £485 / week. Once coach houses and stables for the 19th century Kinfauns Castle. This quaint Stone B listed building has been restored, offers guest rural tranquility only 2 miles from Perth. £300 - £650 / week. 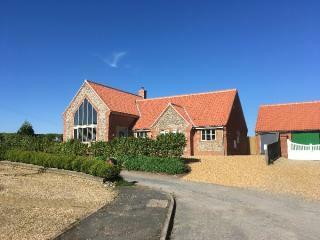 A stunning modern cottage with lots of excitement from the planes from RAF Coningsby. £350 - £680 / week. Lovely 'upstairs' cottage offering bright, sunny accommodation and modern facilities. Sleeps 3. £275 - £740 / week. Once Coach house for the 19th Century kinfuans castle, no 5 coach house has been thoughtfully restored to offer guest luxury in tranquil surroundings only 2 miles from Perth. £550 - £950 / week. Comfortable and well-equipped stone-built cottage set in the beautiful Yorkshire Dales countryside 3 miles from the market town of Sedbergh, sleeps 4 + cot. £275 - £375 / week. Four Star cottage sympathetically converted from a Grade II listed barn, set in a secluded courtyard setting in the unspoilt Cumbrian village of Brigham. Sleeps 4. £275 - £489 / week. Central cottage in steading building on the side of Ben Rinnes. Sleeps 2-4. Ideal location for chilling, walking, wildlife and whisky or for touring from Cairngorms to the sea. £366 - £583 / week. Cosy 19th Century Cotswold stone cottage in quiet village well situated for exploring The Cotswolds, sleeps 2/4. £195 - £375 / week. Charming 17th Century Grade II Listed traditional Lakeland cottage in the heart of Ambleside with beams, open fire, residential parking permit, gas central heating, sleeps 4. £243 - £441 / week. Peacefully located bungalow in the delightful village of Brancaster on the North Norfolk Coast, sleeps 4. £260 - £460 / week. Four comfortable wooden chalets situated at the head of Loch Caolisport, with lovely views down the Loch. Each sleeps 4. £345 - £475 / week. A LEA HILL AFFORDABLE COTTAGE Charming annexe with two ensuite bedrooms. Part of the 15thC farmhouse. Delightful grounds and gardens. Tranquil location. Up to 4 Dogs.9 miles from the Jurassic coast. £290 - £495 / week. Delightful traditional Lakeland cottage with beams, open fire and parking, situated in a secluded rural woodland position 1 mile from Grasmere near Dove Cottage. Sleeps 4. £258 - £528 / week. Dog-friendly period village Post House dating from 1802, comfortably updated on two floors with open fire. Situated in the village of Gilmerton, on a south facing slope, at the foot of the Sma' Glen. Sleeps 4 people. £375 - £550 / week. Pretty cottage situated in the conservation area of Winchcombe. 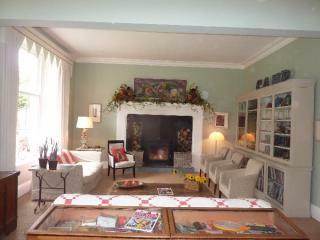 Sleeps 4 with a sofa bed in the sitting room for 2 additional people. £325 - £575 / week. 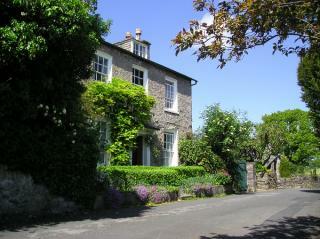 Victorian terraced cottage, stunning position, sea views, sleeps 4. £350 - £600 / week. Two cosy 2-bed cottages a mile north of Cartmel. 400 yards apart with own secluded gardens & parking. Peaceful with views, comfy with central heating, log fire in Woodland Cottage. £405 - £685 / week. Beamed 17th Century characterful cottage in a lovely village. Sleeps 4. Dogs welcome! Walks on the doorstep and coast close by! £305 - £745 / week. This B listed traditional stone building has been carefully retored and renovated into a beutiful holiday retreat within scenic surroundings situated only 2 miles from Perth. £350 - £750 / week. The Clocktower is the centre piece at the Towerview coach houses which was once the main entrance to the stables and coach houses for the 19th Century Kinfaubns castle..
£325 - £750 / week. £475 - £850 / week. £495 - £895 / week. £700 - £900 / week. Thoughtfully furnished two bedroom apartment with secluded garden in Dartmouth situated on a quiet street only 3 minutes walk from the historic centre of town and the River Dart. £425 - £925 / week. 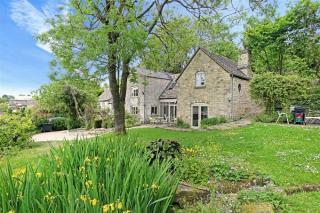 Beautifully converted stone barn in stunning unspoiled location with lovely views, sleeps 4. £285 - £935 / week. 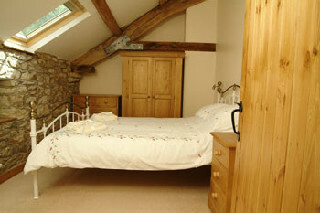 Beautifully converted stone barn in stunning unspoiled location with lovely views, sleeps 4 in 2 bedrooms. £300 - £985 / week. Beautifully converted detached cottage with lovely uninterrupted views of open countryside, sleeps 4. £320 - £1030 / week. Charming Grade II Listed cottage with beams, open fire and parking in a lovely peaceful location at the foot of the fell close to Coniston village and Coniston Water, sleeps 5. £260 - £490 / week. 4 bedrooms | 1 bathroom | Sleeps 5 people. £300 - £1000 / week. 3 bedrooms | 2 bathrooms | Sleeps 5 people. Beautifully converted stone barn in stunning unspoiled location with lovely views, sleeps 5. £380 - £1190 / week. Five charming barn conversions set in extensive grounds in this delightful corner of rural Norfolk - only five miles from the traditional seaside town of Cromer. Sleep 2 & 4/6. £248 - £643 / week. Six pretty cottages with private gardens set in a tranquil valley near Slapton, South Devon. Exclusive access to dog-friendly walks & views. Beaches nearby. Woodburners, Wifi. £295 - £1200 / week. 4 bedrooms | 1 bathroom | Sleeps 6 people. Sympathetically converted beamed former coach house in a peaceful rural hamlet, sleeps 6. £300 - £900 / week. £340 - £1000 / week. End cottage in steading building on side of Ben Rinnes with panoramic views to the mountains in the Cairngorms National Park. Ideal location for walking, wildlife and whisky. £464 - £730 / week. A LEA HILL AFFORDABLE COTTAGE Spacious listed cottage in tranquil location within ANOB. Two ensuite bedrooms. Bed settee sleeps two extra guests for modest extra cost.Dog friendly- up to four dogs. £210 - £495 / week. 2 bedrooms | 2 bathrooms | Sleeps 6 people. £320 - £540 / week. Two and three-bedroom holiday homes equipped to the highest specification, with fantastic views of Loch Sween. Sleeps 4 & 6. £330 - £705 / week. 4 bedrooms | 2 bathrooms | Sleeps 6 people. £270 - £740 / week. £556 - £800 / week. Excellent pet friendly holiday home. Furnished to a very high standard. 300 yards to beach and dog friendly pubs. Enclosed garden. Wi Fi,sofa bed. Follow link to website for info. £445 - £810 / week. £385 - £895 / week. 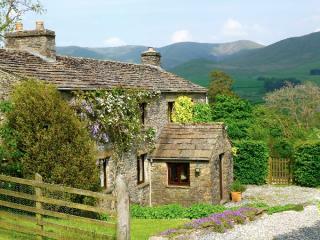 Special Offers / Late Availability on this Lake District holiday cottage Click here for details. Coach House 4 was once coach houses and stables for the 19th century Kinfauns Castle. Ideal family get away accessible suitable the elderely and disabled.only 2 miles from Perth. Beautifully converted stone barn in stunning unspoiled location with lovely views, sleeps 6. £400 - £1260 / week. £850 - £1450 / week. 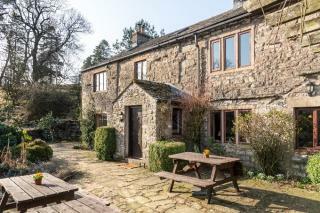 Lovely 17th Century farmhouse nestling in beautiful wooded valley, sleeps 6. £995 - £1650 / week. Georgian terraced family cottage - 3 minutes walk from beach, sleeps 8. £550 - £1500 / week. 4 bedrooms | 2 bathrooms | Sleeps 8 people. 4 bedrooms | 4 bathrooms | Sleeps 8 people. Superbly positioned detached Georgian house with walled garden in ancient village. Sleeps 6/8 - discounts for small groups. Excellent walking, eating and drinking country. £695 - £995 / week. 4 bedrooms | 1 bathroom | Sleeps 8 people. Cottage on side of Ben Rinnes with stunning views to the mountains in the Cairngorms National Park. Ideal location for walking, wildlife and whisky. £553 - £835 / week. £355 - £796 / week. Coach House 3 was once coach houses and stables for the 19th century Kinfauns Castle. The restored Stone B listed building offers guest rural tranquility only 2 miles from Perth. £500 - £950 / week. £595 - £1045 / week. Beautifully modernised Victorian cottage on extensive Highland estate, sleeps 8 in one double and three spacious twin rooms. £525 - £1095 / week. Beautiful home-from-home, fabulous extension and renovation completed in 2018, in peaceful and private location just a short walk from the beach in delightful Brancaster, sleeps 8. £468 - £1607 / week. £460 - £2521 / week. Lovely converted stable block with super outlook overlooking the Avill Valley, sleeping 8-9 in 4 bedrooms. Can be booked with Tivington to create a sleep 16-18 in 8 bedrooms. £800 - £1860 / week. 4 bedrooms | 2 bathrooms | Sleeps 9 people. Lovely converted stable block with super outlook overlooking the Avill Valley, sleeping 8-9 in 4 bedrooms. Can be booked with Exford Cottage to create a sleep 16-18 in 8 bedrooms. Stunning Remote Scottish Highland cottage in beautiful isolated glen - a perfect retreat for relaxing, walking, fishing and wildlife. Sleeps 8/10. £700 - £1200 / week. 5 bedrooms | 2 bathrooms | Sleeps 10 people. £883 - £1933 / week. 5 bedrooms | 1 bathroom | Sleeps 10 people. 4 bedrooms | 4 bathrooms | Sleeps 10 people. Spacious Grade II listed timber-framed house 2 acres garden in beautiful Suffolk countryside, sleeps 11. Within walking distance of super small village pub with good food & beer. £790 - £1390 / week. 6 bedrooms | 3 bathrooms | Sleeps 11 people. £1362 - £1623 / week. 5 bedrooms | 4 bathrooms | Sleeps 11 people. £825 - £2225 / week. 5 bedrooms | 3 bathrooms | Sleeps 11 people. Tastefully restored wing of traditionally built thatched Devon longhouse, sleeps 12. £1085 - £2490 / week. 6 bedrooms | 3 bathrooms | Sleeps 12 people. Visit Britain Five Star Gold rated. Sleeps up to 15 people, outside hot tub, 2 open fires, large kitchen, and dining room, all furnished and equipped to the highest standards. £1850 - £2200 / week. 7 bedrooms | 5 bathrooms | Sleeps 15 people. 3 beautiful cottages converted from an 18th century coaching inn estate, situated in a quiet central village location. Sleep 4/5 and 6 - or 16 in total. £930 - £1550 / week. 8 bedrooms | 4 bathrooms | Sleeps 16 people. 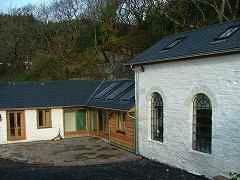 Stunning renovation of period property in area of Special Scientific Interest in the Snowdonia National Park. One of most exciting holiday lets on the Welsh coast. Sleeps 14+2. £1395 - £1895 / week. Beautifully refurbished and luxuriously equipped 17C former mill house in lovely, unspoilt village, sleeps 16 in 6 bedrooms with zip and link beds. £2785 - £3995 / week. 6 bedrooms | 5 bathrooms | Sleeps 16 people. A large luxurious holiday house,sleeps 16 + cots. The house is dog and child friendly with a large garden and hot tub. Just a few minutes walk from an award winning sandy beach. £2575 - £4375 / week. 7 bedrooms | 5 bathrooms | Sleeps 16 people. Stylish, super comfortable, detached Edwardian house with a lovely south facing garden. In a quiet location that is within a short stroll of the best parts of town. Sleeps 16. £10000 - £10000 / week. Traditional thatched Somerset Longhouse (sleeping 12 in 6 bedrooms) and 12 beautifully converted stone barns and stables, sleeping 2 - 18 in 1 -8 bedrooms. £230 - £2590 / week. 9 bedrooms | 3 bathrooms | Sleeps 18 people. Eight Character Cottages and Apartments by the Sea in a Beautiful Rural Location, sleeping up to 20 in total. £165 - £920 / week. £1595 - £1995 / week. 7 bedrooms | 4 bathrooms | Sleeps 20 people. Traditional grand Victorian shooting lodge set in 11,500 acre Highland Estate, sleeps 8 -20. Surrounded by most beautiful mountains - both hill walking and gentle walks +sporting. £1500 - £2150 / week. 11 bedrooms | 6 bathrooms | Sleeps 20 people. Two comfortable cottages in sought-after village with wonderful views, sleep 8 & 12 or 20 people combined. £890 - £2290 / week. 7 bedrooms | 3 bathrooms | Sleeps 20 people. £1200 - £3500 / week. 8 bedrooms | 7 bathrooms | Sleeps 22 people. £366 - £835 / week. 10 bedrooms | 5 bathrooms | Sleeps 24 people. Splendid period country house, in its own 6 acres of grounds, surrounded by glorious countryside. Sleeps up to 24 in 10 bedrooms. Easy to get to: private but not isolated. £5950 - £10000 / week. 10 bedrooms | 9 bathrooms | Sleeps 24 people. £2295 - £5695 / week. 10 bedrooms | 6 bathrooms | Sleeps 27 people. 10 bedrooms | 9 bathrooms | Sleeps 27 people.